“Photos of Chan Ying Tak,” 1923 & 1933, Chinese Exclusion Act case files, RG 85, National Archives-Seattle, Chan Ying Tak file, Seattle, Box 854, Case 7031/503. Chan Ying Tak was born 8 January 1906 in Hong King, China. 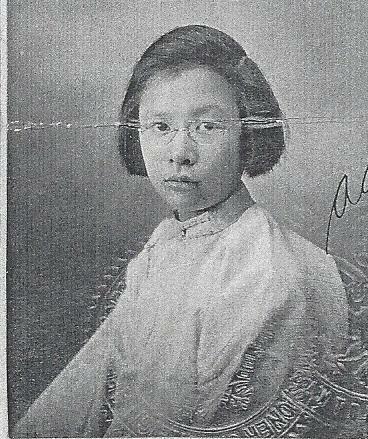 She was a student in Oi Hoi Village, Sun Whai District from 1912 to 1919 and Pui Ching School in Canton from 1919 to 1923. 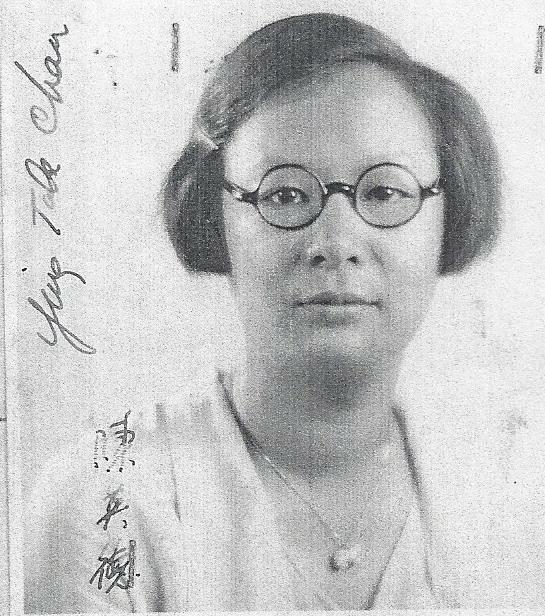 She came to the United States in 1923 as a student under the provisions of the Section 6 exemption of the Chinese Exclusion Act. She received her B.A. degree from Oberlin College, Oberlin, Ohio and obtained her medical degree at Rush Medical College at the University of Chicago. She interned for one year at the Women’s College Hospital in Philadelphia, Pennsylvania. In 1933 she was a medical researcher at the University of Chicago. Dr. Ying Tak Chan received an excellent letter of recommendation from B. C. H. Harvey, Dean of Medical Students, the University of Chicago and Edward H. Parson, Immigrant Inspector approved her application.